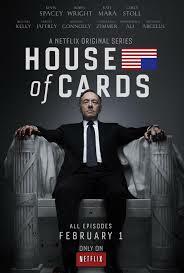 …Netflix is a serious contender when it comes to TV-series. Who would have imagined that Netflix, initially thought of as just a provider of streamed content, would evolve into a producer of cutting-edge television series? While being net-based has never been an argument for quality, Netflix has still managed to hold the attention of both script writers and high-caliber directors like David Fincher. Their first original series “House of cards” did everything right. A political drama set in Washington DC based on a story first dramatized by the BBC. Kevin Spacey as Congressman Frank Underwood, passed on for promotion to Secretary of State, is one of the most memorable television characters ever since Special Agent Cooper of Twin Peaks. The meta-TV scenes of Frank breaking the fourth wall and talking directly to the viewers feels so fresh, forever wiping away boring voice-overs. As a beginners course on Machiavelli this series gives you more than you would have a right to expect. TV is not that often both entertaining and intelligent. 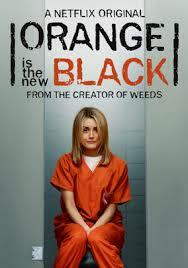 The much anticipated season 2 will be released in February 2014. Until that, watch the first season and marvel at the quality of the story, the exceptional acting and the insights into the day to day realities of real politics. Whatever you do, don´t miss this. Season two is coming up very soon. “Orange is the new black” was the next series to catch my attention, and tells the story of middle-class woman Piper Chapman serving a jail term for the youthful and naïve participation in her lesbian girlfriend´s drug-trafficking operation. The fact that the actions she was sentenced for took place ten years ago does nothing to cushion the blow to her fairly privileged life-style, together with fiancé Larry. While her difficulties being incarcerated is the superficial thread of the series, much more depth is lent to the stories of the women in there with her. The combination of banality and life-changing events keeps the story alive and kicking, as well as being a modern time socio-economic study. Crime still being crime, it´s unusual to see an American series with this much understanding of the underlying social factors, while still avoiding the pitfalls of unaccountability. 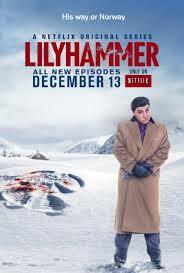 Original series “Lilyhammer” premiered in January 2012 to an enthusiastic audience on Netflix and Norwegian national television. The story of New York mobster Frank Tagliano relocated to Lillehammer in Norway after testifying in a US mob trial might have seemed like a good idea. An unholy alliance of The Sopranos and Fleksnes, sharp Italian fashion and the Norwegian lusekofta, New York street scenes and the snowy expanse of Lillehammer. The resulting schizophrenia is evident already in the opening score and the sense of dislocation never goes away. All the respect built by Steven van Zandt from his days in the East Street Band, his own grossly undervalued solo career and as an integral part of the captivating The Sopranos cannot save him from this parody of himself. Every gesture and facial expression of Frank Tagliano is a very bad carbon copy of Silvio Dante, making the viewer cringe behind the spread fingers of a hand held over the eyes. Much is made of the collision between the violence-solves-everything ethic of Frank and the meek hunched-down-under-authority Norwegians. Even though it´s done in an attempt to make fun, it´s more funny peculiar than funny ha ha. Despite good intentions this series fails in so many ways, with most of its humour being quite unintentional. When I was a kid everybody in Sweden told Norwegian jokes (very much like the American Polish jokes and the British Irish jokes). It seems like we don´t need to anymore, the Norwegians are doing it themselves. This entry was posted in Movies and TV-series and tagged House of cards, Kevin Spacey, Lilyhammer, Netflix, Orange is the new black, Steve van Zandt on February 9, 2014 by danolofohman.